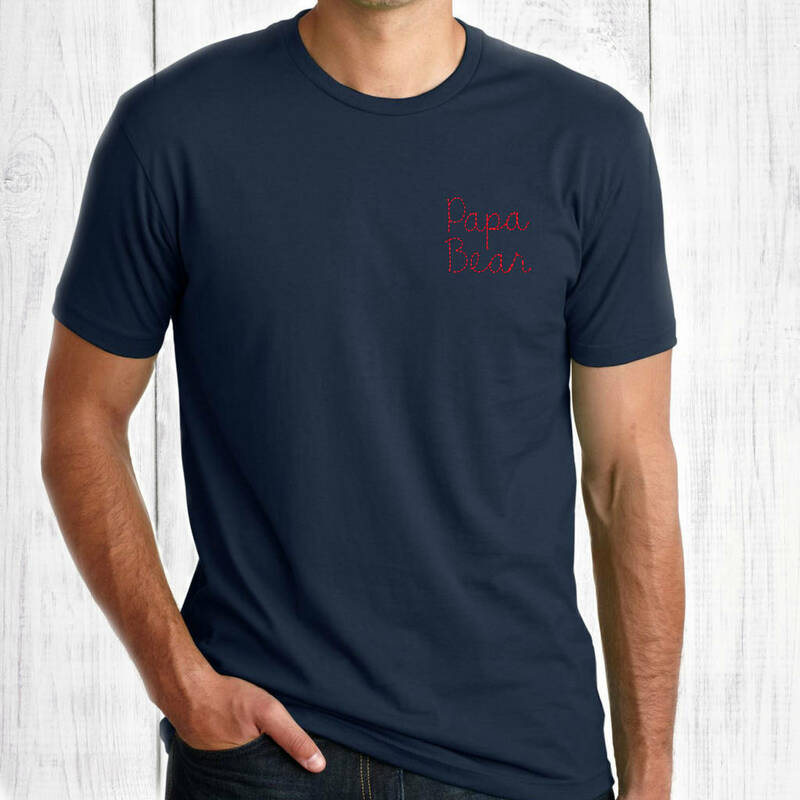 A perfect father's day gift, a men's t-shirt with the words 'Papa Bear' embroidered in a traditional style. Celebrate Father's Day with the most important man in your life with this thoughtful t-shirt. Perfect for all ages and styles, it has a comfortable fit that can be worn alongside casual wear or for a special occasion. Make sure he knows just how important he is with this versatile and wearable garment. The top has been made using pure cotton with a round neckline and short sleeves for a comfortable fit. The words 'Papa Bear' have been professionally embroidered in the Betty Bramble studio in Surrey. It is available in two colour combinations - a navy with red embroidery or a grey with navy embroidery. For sizes, choose from a small, medium, large, extra large and extra extra large. Size small, medium, large, extra large and extra extra large.